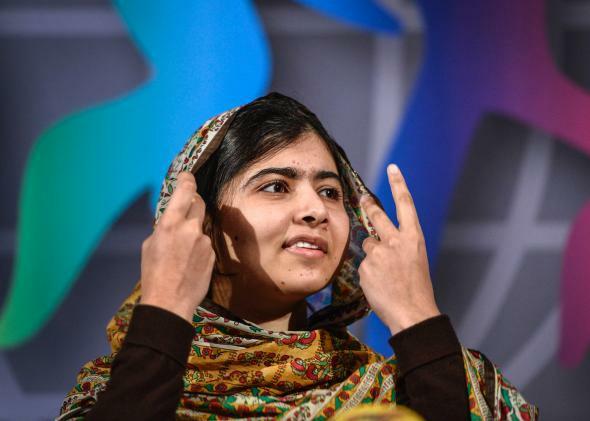 "I Am Not Malala Day": Anti-Yousafzai backlash from Pakistan schools. Even as German Prime Minister Angela Merkel hails her as “the identity of Pakistan,” Malala Yousafzai, youngest-ever winner of the Nobel Peace Prize and now a resident of the UK, has become a symbol of malignant Western influence among some factions in Pakistani society. Case in point: on Monday, a group of private schools observed “I Am Not Malala Day,” condemning the seventeen-year-old activist as anti-Pakistan and anti-Islam. The name of the day of protest, which is being observed by the All Pakistan Private Schools Federation, is a riff on the title of Malala’s memoir, I Am Malala: The Story of the Girl Who Stood Up for Education and was Shot by the Taliban, which was co-written with British journalist Christina Lamb. In the past, Mirza Kashif Ali, the president of the Federation, has been a vocal critic of the book, banning it from the schools affiliated with the group and saying that through it, Yousafzai “became a tool in the hands of the Western powers.” Another Pakistani school group, the All Pakistan Private Schools Management Association, also banned I Am Malala from its network of 40,000 schools. “I Am Not Malala Day” will be observed annually by the All Pakistan Private Schools Federation from this year on, according to Ali.